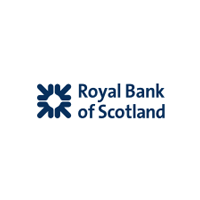 The trading price for Royal Bank of Scotland Group plc with ticker code: LON:RBS has slid -7.13% or -17.7 points during today’s session so far. Market sellers were not positive throughout the session. The period high was 249 meanwhile the session low reached 228.7. The total volume of shares traded by this point was 14,144,449 whilst the daily average number of shares exchanged is just 23,766,976. The 52 week high price for the shares is 304.2 around 56.1 points difference from the previous days close and putting the 52 week low at 220.8 a difference of some 27.3 points. Royal Bank of Scotland Group plc has a 20 day moving average of 242.93 and also a 50 day simple moving average now of 248.34. The market capitalisation is now £29,749.71m at the time of this report. All share prices mentioned for this stock are traded in GBX. Mcap is measured in GBP. This article was written with the last trade for Royal Bank of Scotland Group plc being recorded at Thursday, November 15, 2018 at 12:05:38 PM GMT with the stock price trading at 230.4 GBX. Stock in SEGRO plc found using EPIC: LON:SGRO has moved down -1.51% or -9.6 points during today’s session so far. Traders did not seem confident during this period. The high for the period has reached 640.6 dipping to 621. The volume total for shares traded up to this point was 795,869 with the daily average at 3,178,996. The 52 week high for the share price is 682.4 around 48 points in difference to the previous days close of business and a 52 week low sitting at 538.5 making a difference of 95.9 points. SEGRO plc now has a 20 moving average of 629.51 and a 50 day simple moving average now at 634.68. The current market cap is £6,435.84m at the time of this report. The stock is traded in GBX. Mcap is measured in GBP. 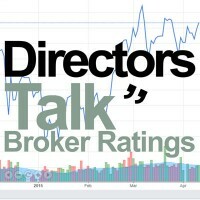 This article was written with the last trade for SEGRO plc being recorded at Thursday, November 15, 2018 at 12:05:22 PM GMT with the stock price trading at 624.8 GBX. Shares of Severn Trent Plc ticker code: LON:SVT has dropped -3.63% or -70.5 points during the course of today’s session so far. Market sellers were far from a positive bunch while the stock has been in play. Range high for the period so far is 1955 dropping as low as 1860. The volume total for shares traded up to this point was 438,396 whilst the average number of shares exchanged is 1,022,299. The 52 week high for the shares is 2219 equating to 279 points difference from the previous days close and the 52 week low at 1664 is a variance of 276 points. Severn Trent Plc has a 20 SMA of 1921.08 and also a 50 day MA at 1899.06. This puts the market capitalisation now at £4,581.09m at the time of this report. The share price is in Great British pence. Mcap is measured in GBP. This article was written with the last trade for Severn Trent Plc being recorded at Thursday, November 15, 2018 at 12:05:38 PM GMT with the stock price trading at 1869.5 GBX. Shares of Tesco PLC company symbol: LON:TSCO has stepped down -2.57% or -5.46 points during today’s session so far. Market sellers were not positive throughout the trading session. The periods high has reached 214.4 while the low for the session was 204. Volume total for shares traded at this point reached 9,899,784 with the daily average traded share volume around 35,290,906. A 52 week share price high is 266.8 equating to 54.4 points difference from the previous close and the 52 week low at 181.65 which is a variance of 30.75 points. Tesco PLC now has a 20 SMA at 217.04 with a 50 day moving average at 225.99. The current market capitalisation is £20,936.90m at the time of this report. The share price is in GBX. Mcap is measured in GBP. This article was written with the last trade for Tesco PLC being recorded at Thursday, November 15, 2018 at 12:05:37 PM GMT with the stock price trading at 206.94 GBX. Shares of United Utilities Group PLC company symbol: LON:UU has dropped -3.68% or -28.2 points during today’s session so far. Sellers have so far given a mostly negative outlook during the trading session. Range high for the period has seen 770.2 dropping as low as 731.8. The volume total for shares traded up to this point was 1,211,444 with the average number of shares traded daily being 2,575,100. The 52 week high for the shares is 842 equating to 76 points difference from the previous days close and the 52 week low at 648.6 a difference of some 117.4 points. United Utilities Group PLC has a 20 SMA of 745.08 with a 50 day simple moving average now of 724.35. This puts the market capitalisation now at £5,216.28m at the time of this report. All share prices mentioned for this stock are traded in GBX. Mcap is measured in GBP. This article was written with the last trade for United Utilities Group PLC being recorded at Thursday, November 15, 2018 at 12:05:16 PM GMT with the stock price trading at 737.8 GBX. Shares of WM Morrison Supermarkets PLC with company EPIC: LON:MRW has stepped down -1.64% or -4.1 points in today’s trading session so far. Sellers have so far given a mostly negative outlook during the session. The periods high has already touched 252.3 and hitting a low of 244.5. The number of shares traded by this point in time totalled 2,378,299 with the average number of shares traded daily being 12,908,486. The stock 52 week high is 270.5 some 20.75 points difference from the previous days close and putting the 52 week low at 203.3 is a variance of 46.45 points. WM Morrison Supermarkets PLC now has a 20 moving average of 252.02 and a 50 day simple moving average now of 255.9. The current market cap is £5,910.20m at the time of this report. The currency for this stock is Great British pence.Market cap is measured in GBP. This article was written with the last trade for WM Morrison Supermarkets PLC being recorded at Thursday, November 15, 2018 at 12:03:31 PM GMT with the stock price trading at 245.65 GBX. Click MRW RBS SGRO SVT TSCO UU for the full archive.